Posted on June 10, 2013 by Todd Legal, P.A. Although Todd Legal, P.A. has built a system to automatically analyze and produce this result for those “in the know” using CaseGlide’s Litigation Control System, this defense is still unknown to most people handling these claims. Do you want to learn about one of the most powerful defenses a homeowners insurer has against a homeowner? Do you want to learn about a defense that the majority of homeowners insurers do not know even exist? Then read this article to learn more about the doctrine of judicial estoppel. *April 30, 2014 Update: this has been one of the most popular posts on the blog. I have heard about many carriers having success with this defense, and I have been happy to help them obtain these results. If an insured has filed for bankruptcy, does it have any impact on a pending lawsuit for property damage against an insurance company? Yes, and it could result a complete defense to liability or a substitution of the trustee for the insured. When an insured files for bankruptcy, he or she is required to disclose all pending claims to the bankruptcy court. 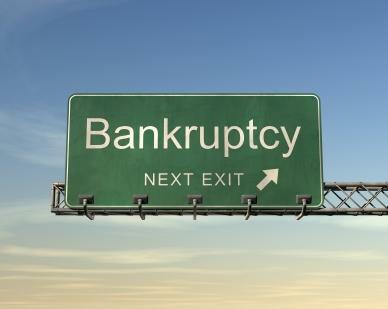 In a Chapter 7 bankruptcy, the bankruptcy trustee gains ownership of all claims. Other types of bankruptcy can be different in that regard. Ultimately, when someone goes bankrupt, the trustee gains the standing to sue and can pursue any claims the debtor had or may have. The trustee’s goal is to make any recovery part of the bankrupt estate so that the creditors can try to recoup their losses. Judicial estoppel is a doctrine that comes into play when an insured fails to disclose a claim to the bankruptcy court. If the insured’s bankruptcy is confirmed without disclosing a pending claim, it could be said that the insured successfully maintained the position that there was no claim in the bankruptcy court. By doing so, the insured is judicially estopped from maintaining a different position in the case against the insurer. Blumberg v. USAA Casualty Ins. Co., 790 So. 2d 1066 (Fla. 2001). Judicial estoppel on this issue applies in every southern state except Tennessee. See http://www.deflaw.com/articles/the-property-corner-question-of-the-month-can-an-insurer-defend-a-denial-of-a-claim-for-when-the-insureds-damaged-property-was-not-listed-in-the-insureds–bankruptcy-petition-. Each party should pay close attention to the timeline and the bankruptcy disclosures. If the insured has not informed the bankruptcy court, the court with the property claim might request the parties to notify the bankruptcy court to assess the trustee’s intentions. See http://www.propertyinsurancecoveragelaw.com/uploads/file/Hadden.pdf. Each case is different but this defense is something worth looking into very early in each case. The trial courts are very receptive when it comes to having the power to enforce fairness. Further, I am sure each party would prefer to find out early if one of the parties is going to be substituted out, thereby changing the whole makeup of the case. Want to Guarantee You Never Miss this Defense Again? Hire Todd Legal, P.A. How can you make sure that every adjuster and every attorney past, present, and future check to see if the insured went bankrupt and if he no longer owns the claim he is suing you for? Will an email work? No. New adjusters and attorneys will never get it. Will a note to the file work? Come on, give me a break. But guess what will work? If you shift your communication and case strategies from out of emails and Word documents and into a web-based project management portal. Then, you can make sure every adjuster and every attorney on every case is asked whether the plaintiff is bankrupt, and you have to go no further than two clicks online to find the answer for your specific case. I offer innovative services and software that can automatically implement the strategy changes to be consistent with the information in this article. If you want to know more about how I can help your company or firm ensure that your strategies are up-to-date and complied with by all of your colleagues and vendors, then contact me. Furthermore, if you want a litigation project manager with a powerful software tool that allows your attorneys to draft top-down approved legal documents in every case with the click of a button, then read more about my services here.